Who doesn’t love a homemade blanket? I have always had a favorite blanket since I was a baby and I still have a favorite today! Sharing a homemade quilt is one of my favorite things to give as gifts. When I saw that A Girl and a Glue Gun was collecting blankets for a blanket drive, I knew this was something I wanted to do. A cute, but simple quilt. 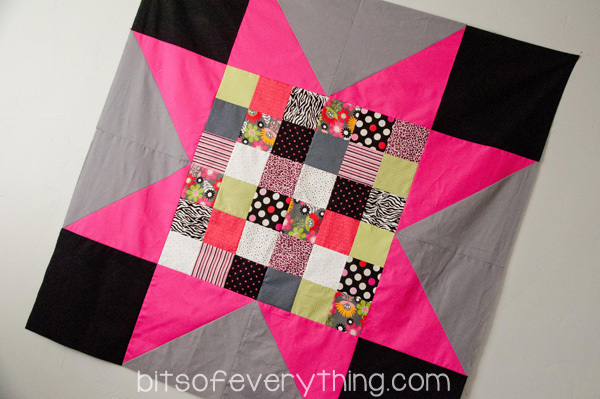 My favorite way to make a quick quilt is to find a quilt block that I like and make it big! The bigger the pieces, the faster your quilt will be to make. Here is what I did for this quilt pattern. 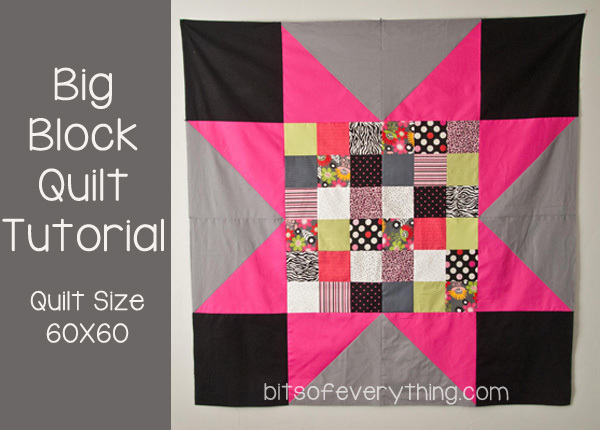 Holly’s Big Block Quilt – finished size 60 X 60. 5 1/2 inch square scraps. Cut 36 squares. 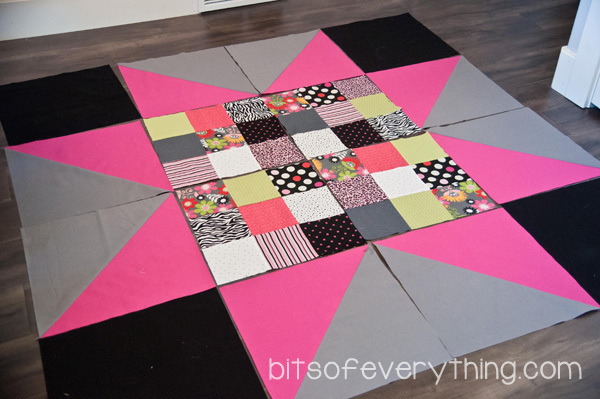 1 yard solid – cut into 4 – 16 inch squares. 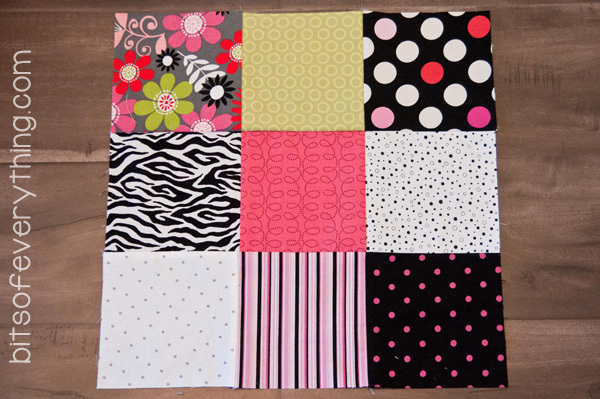 1 yard solid (2nd color) – cut into 4 – 16 inch squares. 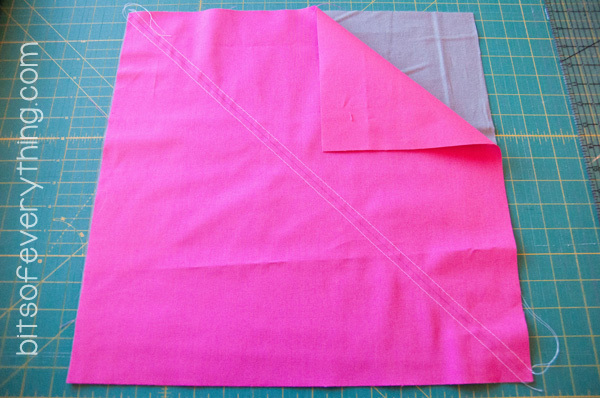 1 yard solid (3rd color) – cut into 15 1/2 inch squares. 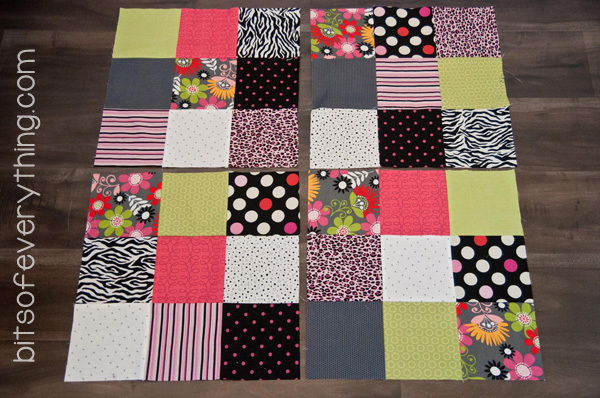 Start by sewing your scrap squares together. I made 4 – 9-patches. Next we will make some half square triangles using your squares that are 16 inches. With 2 different colored 16 inch squares together, draw a pencil line down the diagonal and sew 1/4 inch on both sides of the line. Then, cut down your pencil line and press your seam flat. You now have 2 half square triangles! Repeat this process until you have 8 half square triangles. After pressing, trim your half square triangles to measure 15 1/2 inches square. Now, it’s time to sew all the blocks together! Be sure to use the blocks that are cut 15 1/2 inches for your corner blocks. Finish it off by quilting and binding. That was fast! It is 60X60 inches finished. 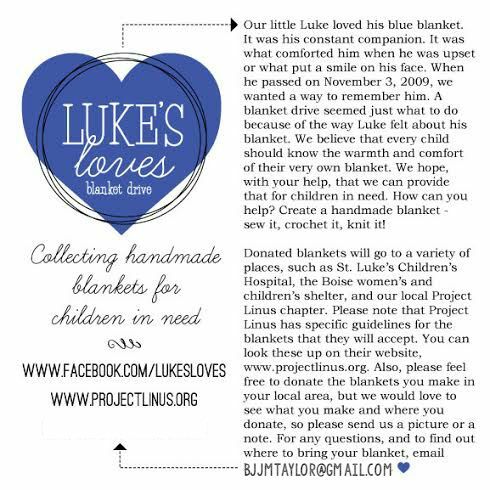 Check out all these other great ideas for blankets! this is just perfection! Thanks so much for everything!